Welcome to the newest feature of Intoxicology 101, Cocktail of the week. Every week Monday we will feature a new cocktail that is a must try. Whether you want to make it yourself or order it at the bar, here you can find excellent choices to get the night started right. Our first cocktail is in honor of a good friend of mind who throws these delicious cocktails down like water so I thought it only right to feature one of his and my favorites. Add all ingredients one by one into a cocktail shaker. Shake and strain into a highball glass filled with ice. Garnish with a lemon and cherry. 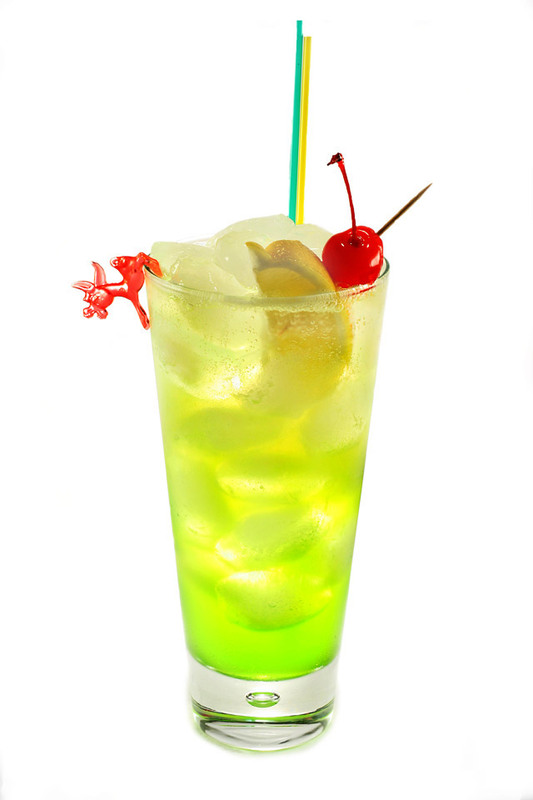 ……..I’m not really sure where the name Tokyo Tea came from considering there being no Japanese influences in the recipe however I can imagine its similarity to a Long Island Iced tea combined with its green color made its creator think of green tea, and thus Tokyo. You can choose any brands you see fit for the necessary ingredients, however each of these brands I chose were both of quality and in my bar so feel free to play around with the recipe to make it your own. The sweet and sour is optional as mentioned and will take a bit more of the bite out for those that find this a bit overwhelming. I’m warning you now, the taste of this cocktail combined with its potency makes it annoyingly addicting. Enjoy and as always, remember to drink responsibly.